For many families, Easter is a religious celebration. But it can be a day of egg-tastic fun for everyone. There are a number of different Easter egg activities that you can do with your children. 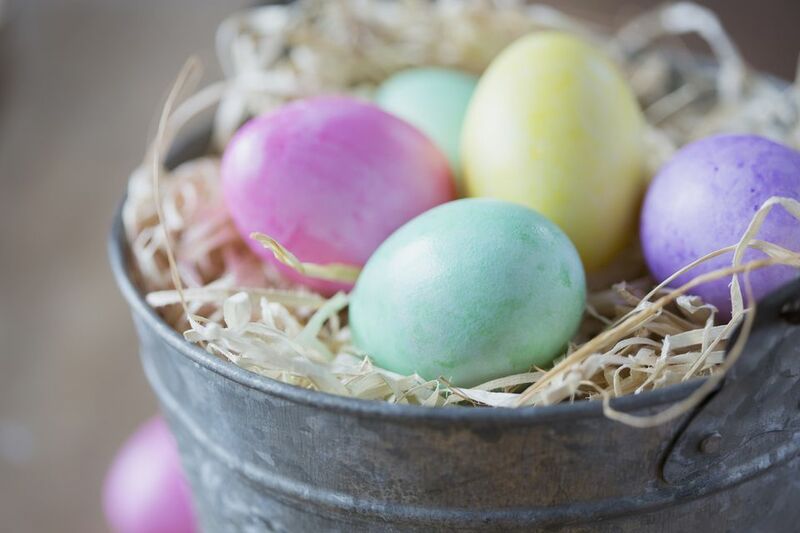 From traditional decorating to science experiments, there are plenty of egg activities to get you and your child cracking! Note: Whichever Easter egg activities you and your child decide to try, make sure you're using appropriate safety measures. Some of these activities include hot water, matches and caustic materials. For more egg safety tips, check out this article: A Dozen Egg Safety Tips for the Holidays. Egg in Vinegar: A Dental Health Activity With all the jelly beans and chocolate bunnies tempting your kids around this time of year, it's good occasion to refresh their memory about good dental hygiene. The egg in vinegar experiment is a great way to demonstrate what happens when the bacteria on teeth combine with sugar to create acid. The Naked Egg Experiment Similar to the egg in vinegar, this experiment uses a raw egg instead of a hard boiled egg to demonstrate what acetic acid (vinegar) can do to calcium carbonate (the eggshell). In the end, you'll have a really interesting specimen—a naked, translucent egg! Egg in Soda: A Dental Health Activity This companion to the first two experiments shows the way soda and other acidic beverages can affect and stain your teeth. Luckily, it also shows the power of a good toothbrushing! Decorating Easter Eggs with Kids You don't have to limit your egg decorating to simply dying the eggs. This fun family activities gives you and your child a number of other ideas, including stencils, stickers, crayons and glue-on baubles. Sugar Easter Eggs The end result of this activity, by About.com's Guide to Candy, is spectacular! Making these panoramic eggs is a complicated activity, one more suited for an older child with a penchant for details, but it's the details that make the eggs gorgeous. In the end, you'll have a hollow sugar egg, elaborately decorated with an Easter scene on the inside. Edible Easter Eggs If you and your child prefer to eat your eggs rather than decorate them, check out this great recipe for deviled eggs. Making them in the kitchen together can be just as much fun as eating them! Marshmallow Easter Eggs Make marshmallow from scratch! Your child will have a great time learning how to do it using the About.com's Guide to Baking's recipe for chocolate-covered marshmallow eggs. What Are Some Non-Candy Easter-Basket Treats? What Are Fun Games for a Zombie Kids' Party?